The 3rd Annual Society of Laboratory and Automation Screening Conference (SLAS2014) was held at the San Diego Convention Center on 1/18-22. It was a reprieve for many as it was an escape from the polar vortex in their home town, whereas for others it was a short commute to the harbor for $15/day parking in the convention garage or using a $12 three-day Trolley boarding pass. Numerous major companies were featured such as Pfizer, Merck, AstraZeneca, GlaxoSmithKline, GNF, and Bristol-Myers Squibb plus universities, research institutes and a fair share of locals like TSRI, Sanford-Burnham and ActivX Biosciences not to mention others who traveled from as far as Europe, China and Australia. SLAS2014 kicked off with the keynote presentation by Dr. Eric Topol, formerly founder of The Cleveland Clinic Lerner College of Medicine and currently Scripps Health Chief Academic Officer, Director of Translational Science Institute, and practicing cardiologist. The likely basis for the choice of Topol is his reputation as a physician-scientist interested in genomics and wireless sensors and the fact that drug discovery was at the root of the majority of conference presentations. Topol was indeed successful in his objective of giving a stimulating talk on the democratization of medicine and its hand-held devices either in development or entering the market that are going to change our lives in the near future. One way to sum up Topol’s presentation would be to recount either a reference to himself or the emerging physician of tomorrow, that being “Dr. Smartphone.” The human “physiome” is being digitized by countless new wireless devices and wearable sensors or skin tattoos plugging into your smartphone falling under the scrutiny of the FDA. They include Bluetooth hearing aids, cardiograms and blood sugar recorded on your smartphone, the WheezoMeter for asthma monitoring of which future versions could include the digitization of breadth in a cancer sensor, and smart contact lenses for diabetics to help with measurement of blood glucose (also featured recently in the San Diego Union Tribune). Topol reminded us that we have already entered a third digital revolution thanks to rapid advancement of technology which has resulted in more information being generated since 2011 than the sum up to that point in history. All of that available and constant generation of information, especially in and by our hand-held devices, has lead to cartoons in which mankind is referred to as “homo-distractus”. Topol included other visual aids describing the advancements in medicine by its “creative destruction” which included a comic strip of a patient at a doctor’s appointment explaining the reason for his visit as being, “my gallbladder light on my smartphone came on”, and a video clip of his interview on The Colbert Report in which he turned it into a mock doctor’s appointment by recording a scan of Colbert’s recently injured ear drum on his smartphone. Topol also spoke a little about his own collaborative research as a physician/scientist. As a cardiologist, he shared information about technology that goes beyond measurement of cholesterol, including biosensors for endothelial cells in the blood stream which can be cardiac muscle specific biomarkers or non-myocardial tissue markers, such as troponin T or C-reactive protein, respectively, indicative of an acute coronary syndrome such as higher risk for myocardial infarction. As a genomic scientist, he spoke of his vision for genome-enabled individualized medicine throughout life or from “pre-womb to tomb” as the “new medicine”, a graduation from today’s practice of population or “old medicine”. Topol concluded by leaving us with the thought that cadaver dissection class will soon be in the shadow of genome dissection class at medical school and that students will graduate not with a stethoscope around their necks but instead with a smartphone scanner/biosensor in their lab coat pocket. The full-daily conference symposia that followed the keynote and continued for the next two days were Assay Development and Screening (ADS), Automation and High Throughput Technologies (AHTT), Informatics and Micro/Nano Technologies (MNT). A presentation by Sumita Pennathur of the University of California-Santa Barbara in the MNT symposia was that of her Army Research Office and W.M. Keck Foundation multi-million dollar funded research on Micro Electro Mechanical Systems (MEMS) fabricated nanofluidic channels. Pennathur’s objective is to create and manipulate the environment in which proteins perform their function so as to understand their underlying mechanisms, for example in the regulation of cellular processes, and thus develop a break-through proteomic analytical system. Current bioanalytical methods such as ELISA or SPR do not analyze proteins at low abundance in confined spaces such as that inside the cell and also require surface attachment. Pennathur presented results of studies using model proteins to demonstrate the first nanofluidic-based proteomic analyses, for example the effect of secondary structure variation and salt concentration on mobility. Joseph Wang of the University of California-San Diego gave a presentation in the MNT symposia that essentially converted the science fiction in the movie Fantastic Voyage released in 1966 to what is becoming his contribution to today’s nanomedicine. A miniaturized nuclear-powered submarine with miniaturized human pilots explored the human body for disease in the movie whereas Wang has engineered nanomotor-based biosensors for exploration and analysis, such as one referred to as the UCSD Microrocket. Wang’s nanomotors are propelled by either the electrocatalytic decomposition of a chemical fuel or in a fuel-free manner such as with zinc or magnetics, respectively. The applications include motion-based assays which facilitate measurement or detection of an interaction arising from capture, sorting or transport of a biomolecule from a change in velocity or distance travelled. Examples were presented that involved functionalization of the nanomotor with a bioreceptor for targeting capability which could be coupled to drug delivery or biomarker detection including circulating tumor cells. The application of molecularly imprinted polymers to the functionalization of the nanomotors were demonstrated to be useful in the design of biocatalytic propulsion as a means of analysis, for example in protein transport or testing water quality in which toxins act to inhibit the biocatalyst and thus reduce their propulsion characteristics. In the half-day Special Topics: Disruptive Technologies symposia, Michael Bandell of GNF presented his research on the challenge of developing a screen for the perception of things like temperature and pressure. The title of his talk was “How Do We Feel: Mechanisms of Thermo- and Mechano-transduction”. His talk revolved around a recently discovered ion channel that is considered to be a mechanical stress and or chemical sensor, known as member 1 of the transient receptor potential cation channel belonging to sub-family A, or TRPA1. Bandell also related another recent finding made locally at Scripps Research Institute and UCSD on a protein required for mechanically-activated currents in neurons which the researchers dubbed Piezo, which is derived from the Greek piesi meaning pressure. The detection of mechanical force has clinical relevance due to its involvement in certain physiological function such as blood pressure regulation, hearing and pain. The Scripps and UCSD researchers thus far have implemented low throughput screening methods to characterize mechano-transduction proteins involving the observation of genetically engineered fruit fly larvae twisting away from being harshly poked. Bandell presented his high throughput method involving the application of an acoustic transducer to deliver mechanical stimulation of an ion channel which resulted in current from calcium flux which acted as the assay. Several technologies took center stage at the AHTT symposia. Mass spectroscopy (MS) has increased in its usage or acceptance as a screening technology platform for drug discovery not just because it is a label-free method but primarily due to advances that have lead to greater sample/assay throughput. The surface plasmon resonance (SPR) spectroscopy technology platform by SensiQ Technologies has kept SPR at the forefront as an analytical tool in hit identification and hit/lead characterization and optimization. The new paradigm introduced by SensiQ involves advances in microfluidics such that a concentration gradient of sample over several orders of magnitude can be achieved with a single injection resulting in determination of a binding constant in up to one-tenth the experiment time. The method involving analysis of biomolecular interaction by back-scattering interferometry by Molecular Sensing was also a method in several presentations. Karen Maegley of Pfizer Oncology in La Jolla, CA has implemented RapidFire technology from Agilent Technologies coupled to triple quadrupole and quadrupole-time-of-flight MS detection to reduce sampling time from several minutes to less than 10 seconds to develop a technology platform for the characterization and screening of a multitude of epigenetic enzyme targets such as isoprenyl cysteine carboxyl methyltransferase (ICMT). RapidFire technology increases throughput of conventional LC-MS in part by implementing solid-phase extraction in place of liquid chromatography. Maegley presented results from multiple reaction monitoring, real-time enzyme kinetic parameter characterization, evaluation of ICMT as a target for cancer treatment by gene silencing or knockdown via RNA interference technology and monitoring of multiple enzyme reaction products with this quantitative and highly sensitive label-free assay method. It sounded like if Maegley gets her way, the results she may present at her next conference using the MS screening platform in her enzymology lab will be those from a fragment-based drug design approach in the Pfizer epigenetic portfolio. RapidFire by Agilent is one of several enabling advancements in front-end automation technology for MS as a detection method for screening in drug discovery. Andrew Wagner of Bristol-Myers Squibb presented several more enabling front-end technologies that have resulted in throughput of sampling for MS to match if not exceed that of conventional plate reader platforms for discovery and assessment of ADME profiles for lead drugs. Those front-end advancements included multiplexing of HPLC systems, staggered parallel sample injections, dual-arm high-speed autosampling and acoustic nano-dispensing as an enabling sample preparation technology for high throughput laser desorption ionization MS. The application of these front-end automation technologies resulted in the screening time of a 384 well plate being reduced from nine hours for traditional LC-MS to three minutes which is comparable to conventional plate reader assays. The presentation of front-end automation technology advancements continued by Hui Zhang of Pfizer who presented on conversion of the injection format from a discreet to cassette analysis which reduced process time for a 384 well plate four-fold. Another front-end automation technology advancement was presented by Shuwen Sun from the University of Michigan who was screening for modulators of sirtuin 1 deacetylase which could have therapeutic applications in age-related diseases such as Alzheimer’s. Sun introduced their application of droplet-based microfluidics as an enabling technology for high throughput electrospray ionization, a platform which they dubbed a “mass spectrometry plate reader” given that they could reformat samples from eight 384 well plates into 3096 droplets in less than 13 minutes for analysis by a triple quadrupole MS in under 35 min in the screening of an 80 compound epigenetic library. Another label-free assay technology which received a fair amount of attention in the AHTT symposia was back-scattering interferometry (BSI). BSI is nearly a two decade old method of detection initially used in capillary electrophoresis, but has been in the spot light over the last several years because it offers advantages over other biomolecular binding interaction analytical methods such as SPR. BSI is performed with target protein that is tether-free or free-solution including under native-like environment such as membrane integrated as for transmembrane receptors like GPCRs. BSI is a mass- and matrix-independent binding assay for a change in molecular conformation. 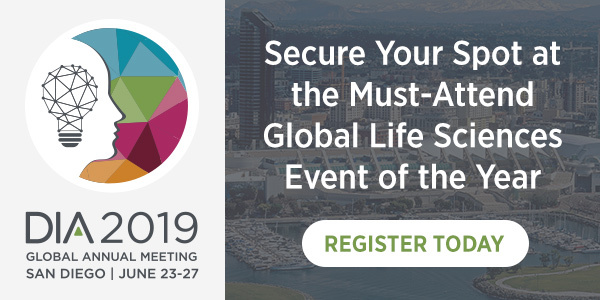 Two such presentations were by Scot Weinberger of Molecular Sensing and Jeff Reagan of Amgen, who each presented research on characterization of allosteric modulators in drug discovery. Reagan’s was on the characterization of calcimimetics in the treatment of secondary hyperparathyroidism. The mechanism of action as determined by the application of BSI is rescue of an inactivating mutation of the calcium binding receptor by its positive allostery. Reagan pointed out less advantageous aspects of other methods, for example the Biacore which measures mass changes that occur upon binding or isothermal calorimetry which requires high solubility of biomolecules. An advantage of BSI is that there is no non-specific binding component because it does not induce a conformational change. The strategy of high throughput screening by NMR and the determination of changes in chemical shift as an indicator of an efficacious change in molecular conformation was another method presented by Maurizio Pellecchia in screening for inhibitors of protein-protein interactions; however, Reagan pointed out that protein NMR typically requires large amounts of protein. 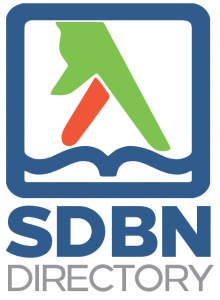 SDBN 2014 Survey: Help Us Plan!